Power Cord with C14 Plug to C13 Connectors with SJT jacket. Power cord commonly used between a PDU and Computer in a data rack or cabinet. 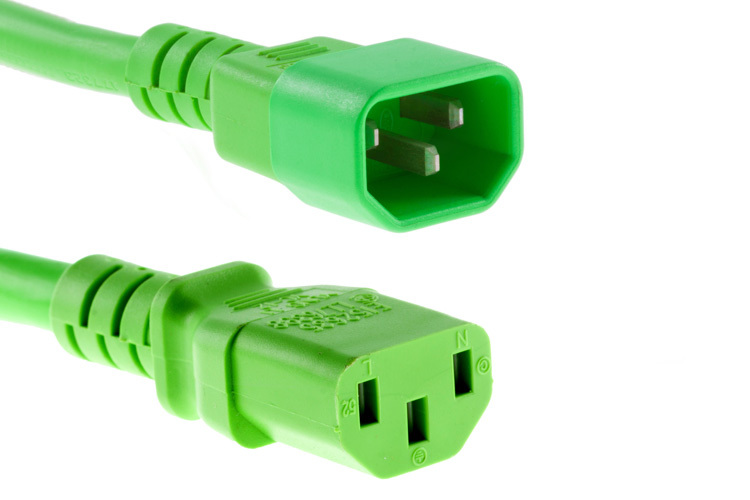 In data environments keep the length of cords to a minimum to avoid contact with Ethernet cables and reduce power loss. 14 gauge cord yields the max amperage for this cord up to 50 feet.